Did you have a nice Christmas holiday? We sure did and I extended my holiday a few more days unplugged, which was really nice. I cannot believe how fast 2010 is coming to an end! Looking back over the year I compiled a list of my top ten favorite best albums of 2010. There is a little bit of everything on the list, because my taste is rather eclectic. Pointer -- it is great how many of these mp3 albums are $5.00 and under on amazon -- follow the links below to preview each album. What were your favorite albums for 2010? Shout 'em out. this is a great list! 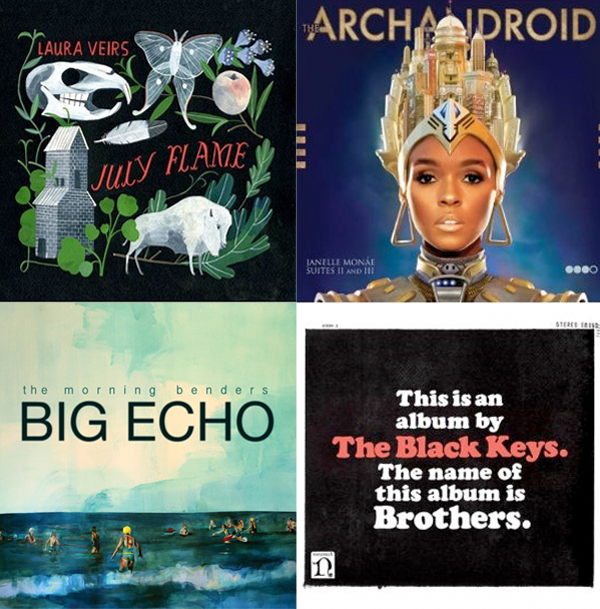 beach house & the black keys were my top 2.
thanks for these suggestions--off to sample and download a few to fill in the long wintry days and nights ahead. The Head and the Heart, check 'em out! excellent list...i LOVED that whole black keys album and the tallest man on earth is one of my faves as well...great picks. These were some of my favourites as well! Josh Ritter's "So Runs The World Away" was also on my top albums of 2010 list. ha ... i'm listening to beach house as I type this comment and am currently also obsessed with the arcade fire album. pure melodic genius. great list! seems like we have a similar music taste. some favorites on the top of my head is the newest tallest man on earth's ep (the dreamer & the river are my faves), laura marling (I speak because I can) and mumford & sons. I also made a list on my blog a couple of days ago, and the suburbs and the wild hunt also were on my top 5! great music and awesome musicans! Great selection! I would have to pick The National's and Mumford and Son's albums. Happy new year! I loveeee two door cinema club. Fantastic album and band! Ooh, great list. I third the Mumford & Sons album. great list. i have to say i'm loving dave rawlings' "friend of a friend" with gillian. cheers! The Angus and Julia Stone album is just lovely! One of my favourites, too. I just started listening to Laura Veirs and I love her however, The National "High Violet" has been on repeat for a loooong time in my house. Wow. Just wow. We have very similar taste in music. 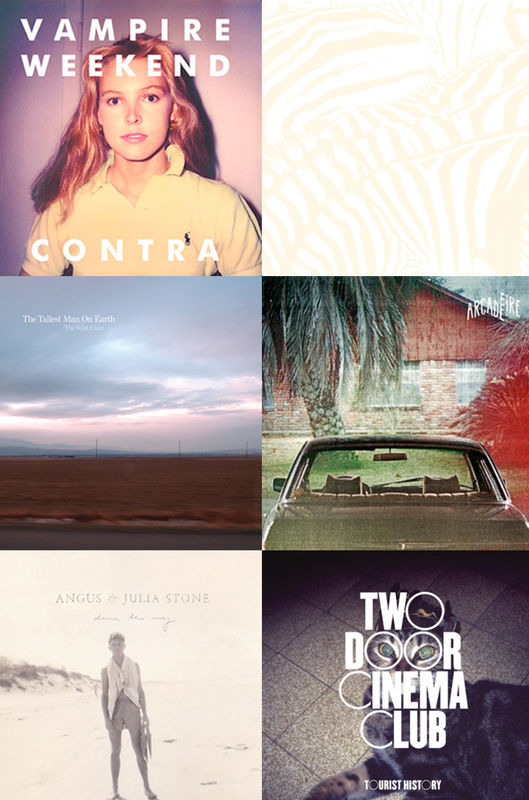 Love The Tallest Man, Vampire Weekend, Janelle, Arcade Fire, The Black Keys and Beach House. Looking forward to hearing some of these other albums. If you love them, I am sure they are wonderful. Happy 2011! I am beyond obsessed with Arcade Fire's The Suburbs. Love the list! It seems like we have similar taste in music. I would add Mumford & Sons - Sigh No More and Hot Chip-One Life Stand! If you haven't heard The Head and the Heart, you need to! They just got signed to Sub Pop (local band on a local label! ), and they re-released the album today with a new song, "Rivers & Roads." Thanks Katie -- I will have to check out the Head and the Heart!